When designed uniquely for you, your dream house or your current home can CHANGE THE WAY YOU LIVE. 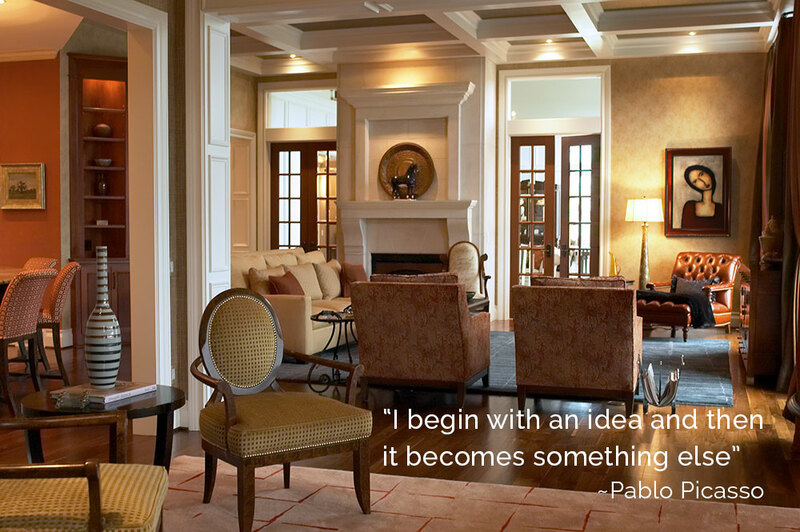 We creatively design to meet your specific, personal living needs and expectations. Regardless of your design style, be it casual, formal, modern, or classic traditional, visually pleasing and luxurious elements combine in all our residential interior designs creating what I call ‘LUX-FUNC’… Our designs are functional, luxurious, elegant and they FEEL ‘RIGHT‘. From room plans, space planning and layout, lighting, furnishings, floors, finishes, accessories, to ADA needs, we combine all the elements in a functional, visually pleasing, and emotionally stimulating way to achieve the function, feeling, and look of the space you want. With my TURN-KEY SERVICE, you can expect me to handle all of these aspects of your residential interior design project. From the initial consultation, design concept, construction, to implementation, your project will be managed with a PERSONAL TOUCH to oversee every aspect of the design.